While visiting the Halkidiki region of Northern Greece this summer, we discovered Halkidiki is a three peninsula area, all stretching out into the Aegean Sea, composed of Akanthos, Sithonia, and Kassadra. It is home to approximately 500 km of coastline, which is the longest in Greece. We explored one of the peninsulas, Kassadra, and took a boat ride to the famous Mount Athos with its monasteries. We were privileged to spend a lovely day and night at five-star Eagles Palace– what a treat! After a day of touring, Konstantinos and Lena Tornivoukas welcomed us in their large inviting homey lobby with a glass of champagne. Our hosts are from a hotelier family that dates back to 1925, and assumed control of the family business in 1999. Eagles Palace is considered the “Crown Jewel” of the Macedonian Hotels and it is easy to see why. We checked into our rooms to freshen up before dinner. It would have been easy to retreat in this luxury, as the accommodations in the hotel covered every detail desired. In addition to suites, there were also bungalows with sea views for those wanting more privacy; a suite with a private pool; and three garden suites with a private pool. The Maria Callas Presidential Suite is named after the world famous Greek soprano. She spent her holidays at Eagles Palace in 1976 and we had no trouble understanding her choice. The combination of 165 rooms showcase a distinctive style, but each has its own unique style. It was 9:00 p.m. and time for cocktails and dinner. 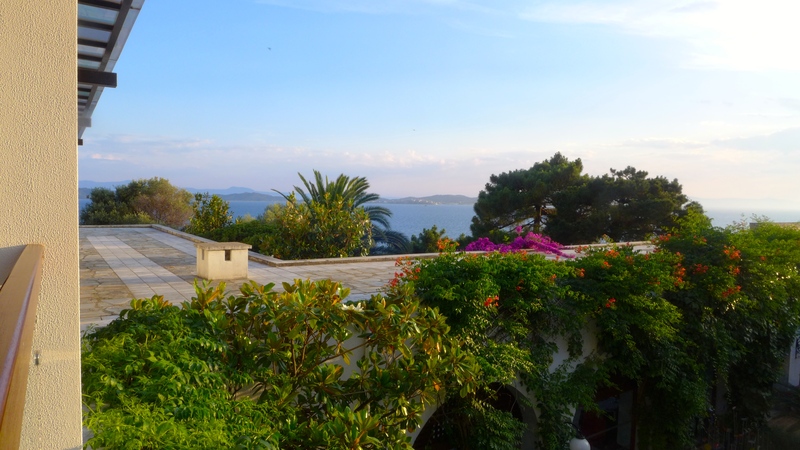 We joined the Tornivoukas’ on the terrace of Kamares before sitting down for dinner at a wonderful long table. There were ten of us in total and the master chef, along with his team, delivered one delicious course after another, paired with exceptional wine. Some of it came from Mt. Athos. Our dinner certainly showcased the skills of the chef, while we also felt like friends of the hosts. 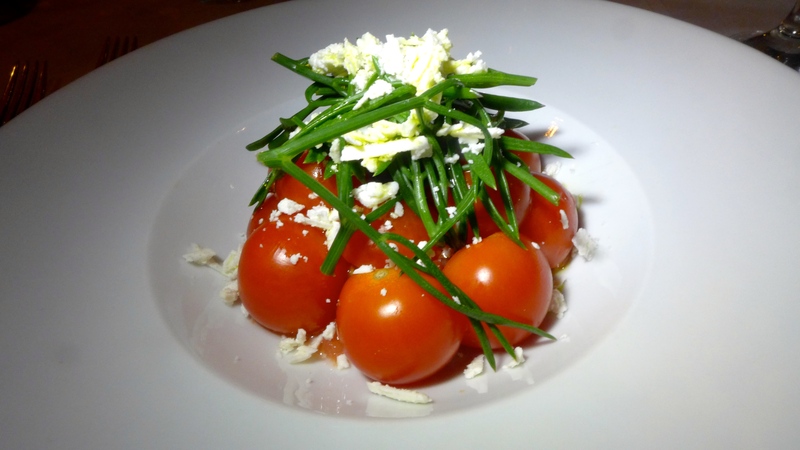 Eagles Palace cuisine is based on fresh ingredients and traditional Greek and Mediterranean cooking with a twist. 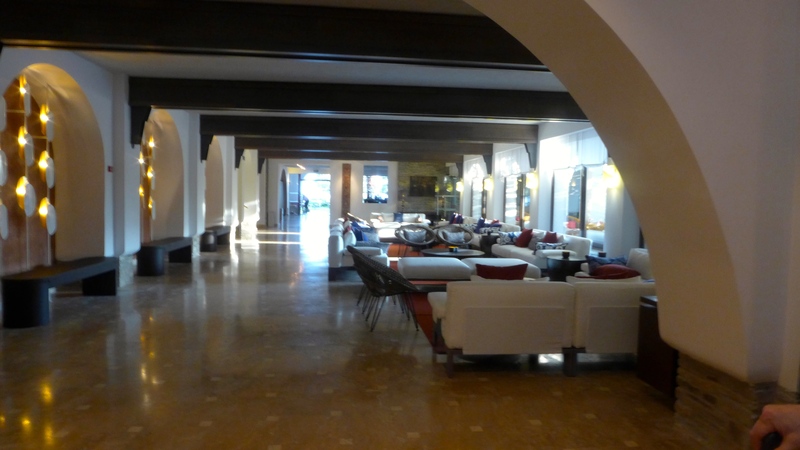 For being a relatively small hotel, they offer a tremendous variety of options with dining. 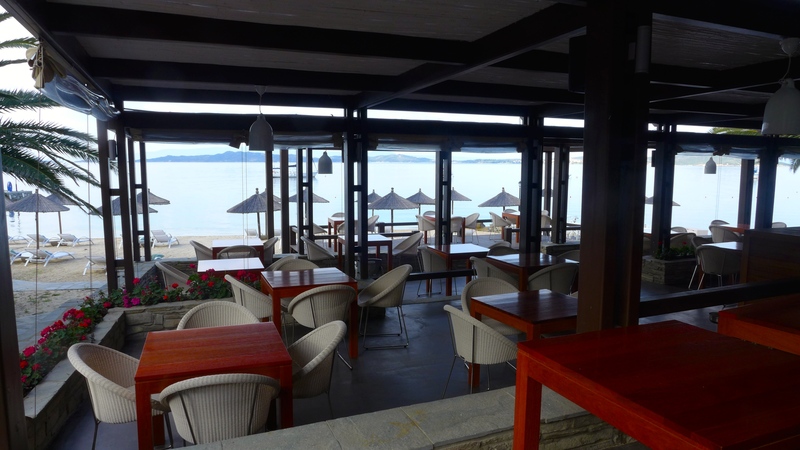 Their Melathron restaurant offers indoor and outdoor seating, with easy options. It is laid back and open for breakfast and dinner. Eagles Café is in the center of the lobby, with a fireplace, and offers teas, coffees, and light snacks any time of day. Armyra by the pool is at the water’s edge, with fine seafood, prepared by Michelin star awarded Chef L. Lazarou. Armyra pool bar is a swim up bar. Eagles Club focuses on sunsets and cocktails with live music and starlit evenings. Ammos beach bar is on the beach. All you have to do for service is lift a small blue flag and someone will be there to take your order; and if none of the above work, dine in. Room service is available 24 hours a day. Since it was after midnight when we finished dinner, we waited to tour the property until after breakfast. My husband, Norm, and I were not prepared to see the expansive beach. It was breathtaking. My first reaction to so many umbrellas was, “Oh my, it must be crowded.” But we learned that there are two or three times as many lounge chairs and umbrellas as necessary. They do not want guests to feel packed in. When you look across the inlet opposite the hotel, you see Amouliani, the fishermens’ islet. There are plenty of diversions: Fully equipped conference center for meetings; boutique – jewelry corner – press and tobacco shop; extensive gardens with olive, palm and pine trees, flowers and herbs; water sports center; outdoor saltwater flotation pool; sandy beach, awarded with the European Blue Flag; gymnasium with Nautilus equipment; indoor pool; scuba diving (PADI certified) center; wireless internet connection and Internet corner; full range of excursions by boat or taxi; car and mountain bike rental; tennis court; billiard and cards room; occasional art exhibitions, wine tasting, music evenings; children’s swimming pool; mini club (4-12 years); children’s playground; chapel for ceremonies; and boat anchorage. These include: Multilingual staff; medical assistance on call; laundry service; babysitting on request; 24 hour room service; foreign currency exchange; all major credit cards accepted; secretarial services; and dine around in hotel restaurants. This is indeed a highlight for me at any hotel. This spa exudes the pampering attitude and relaxing atmosphere you would expect. However, design and architecture add to its appeal. The spa menu features Elemis products and focuses on their famous healing therapies. It includes total wellness through massage, body treatments, facials, fitness programs, spa cuisine, hair salon, and personalized programs. Eagles Palace is just about as near as you can get to the ancient town of Ouranoupolis. It is 110 km away from Thessaloniki airport or 1-1/2 hour taxi drive through villages of Halkidiki and the peninsula. There are treasures to discover along the way. 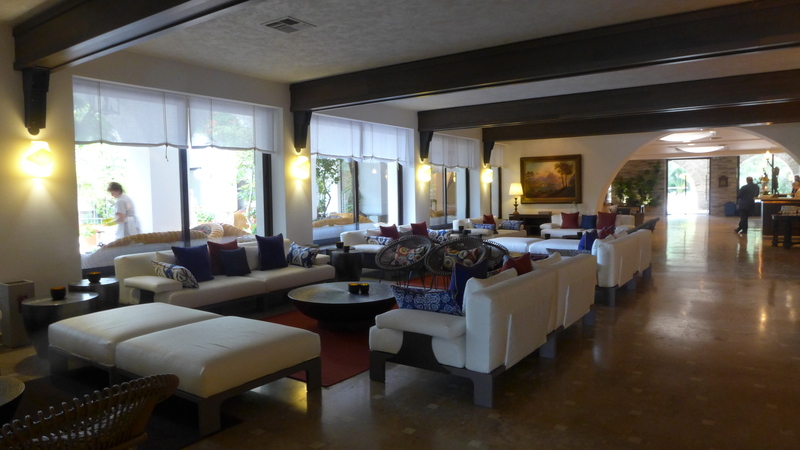 From my perspective, it is easy to understand while Eagles Palace is a member of Small Luxury Hotels. With the hospitality and service we encountered, it would be a wonderful escape for a vacation or a reward for an incentive program. It caters to all needs with something for everyone, with an ideal size and location. This area may be well known to Greeks and other Europeans, but Americans need to put it on their radar. I could easily spend a week there, and I rarely say that. The area in general is captivating, and Eagles Palace tops it off.